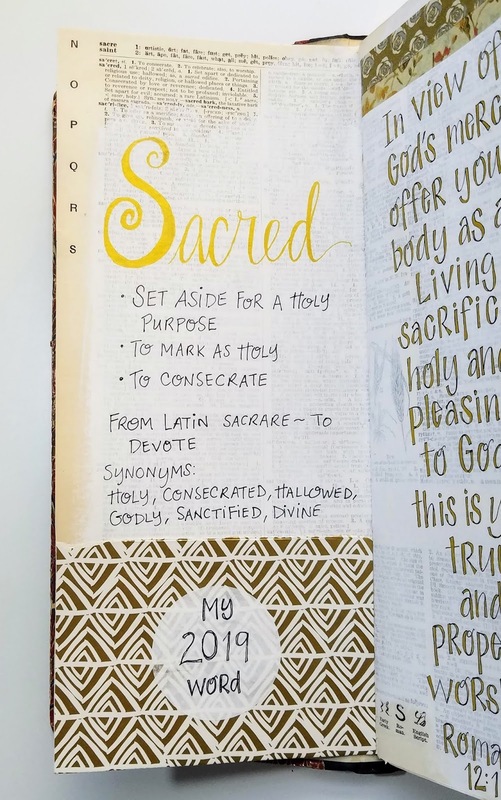 My desire this year with my word of the year, sacred, is to see every part of my life as sacred - to be used by and for God. 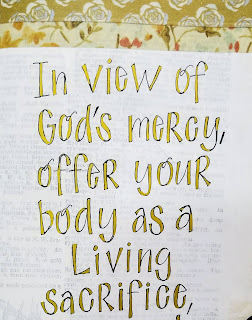 I'm especially trying to gain a better perspective of my body being a sacred instrument for God's use. 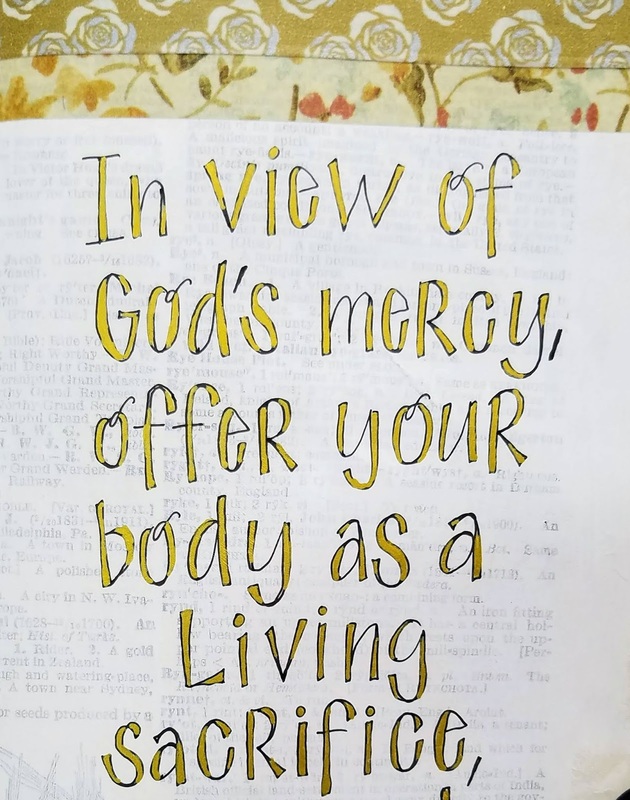 So I have been working on seeing health as an issue of stewardship. 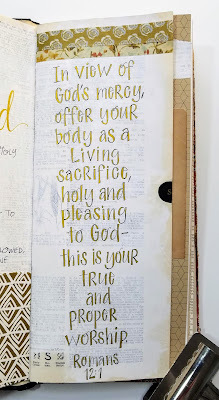 In our Living Your Word 2019 group we are doing a bi-weekly A-Z Inspirational challenge to help us live out our word. For the letter A I chose "abide". 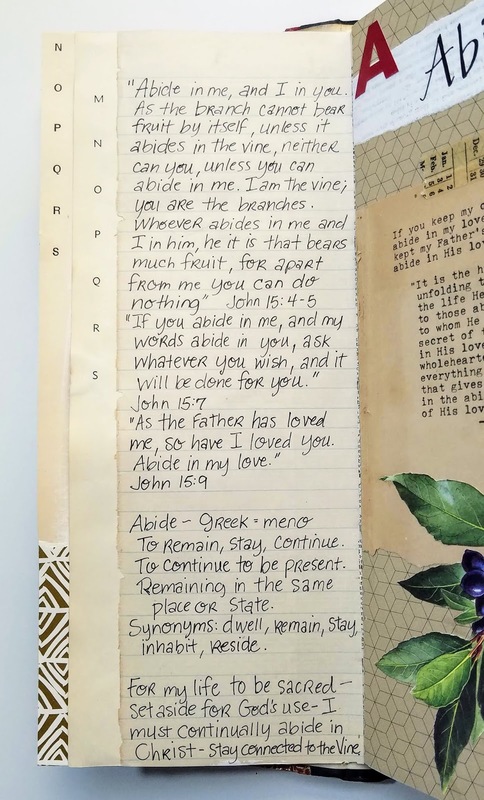 The best passage of Scripture that explains the principle of abiding in Christ is found in John 15. Abiding is a word that describes our union with Christ. Jesus says in John 15 that we can doing nothing apart from Him. He is the vine, we are the branch that connects to the vine. 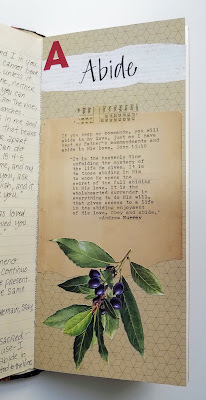 When we continually remain connected to the vine, we are abiding, and we will bear fruit. 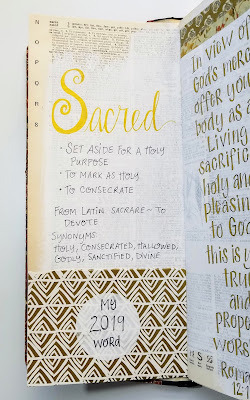 For my life to be sacred, I must continually abide in Christ. I must remain connected to Him through His Word and prayer, and draw my strength and power from His Spirit. Bernice Hopper, Valerie Sjodin and I facilitate a Facebook group about Living your Word of the Year. 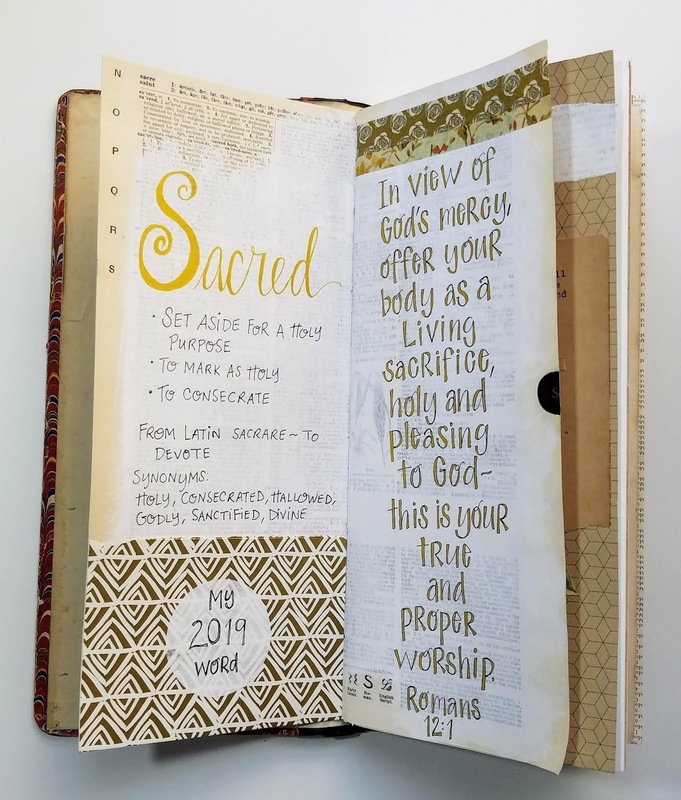 In it we share insights through blog posts and connect with other like-hearted and like-minded people who want to live out a word focus throughout the year. 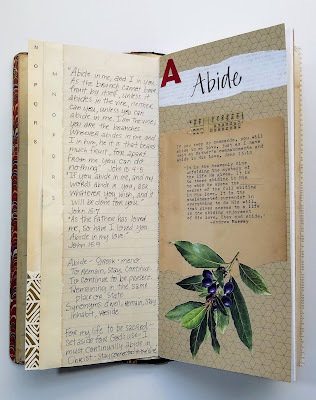 We offer participants a bi-weekly A-Z Inspiration to help prompt reflection and creativity. as well as other inspirational ways to connect with your word of the year. If you would like to connect with others in creative ways about living your word throughout the year, explore new ideas, record thoughts, prayers, and events, you are invited to join our Facebook group. 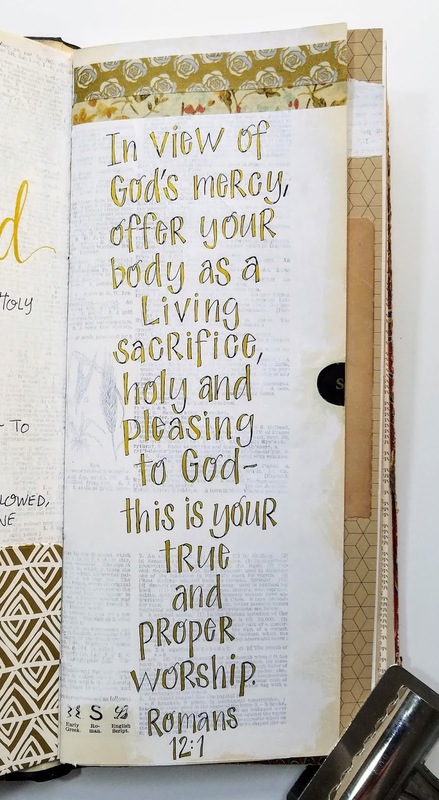 Please use #livingyourword2019 on social media. Such beautiful artwork, Mary! Your inspirational thoughts are so wonderful to ponder throughout this new day. 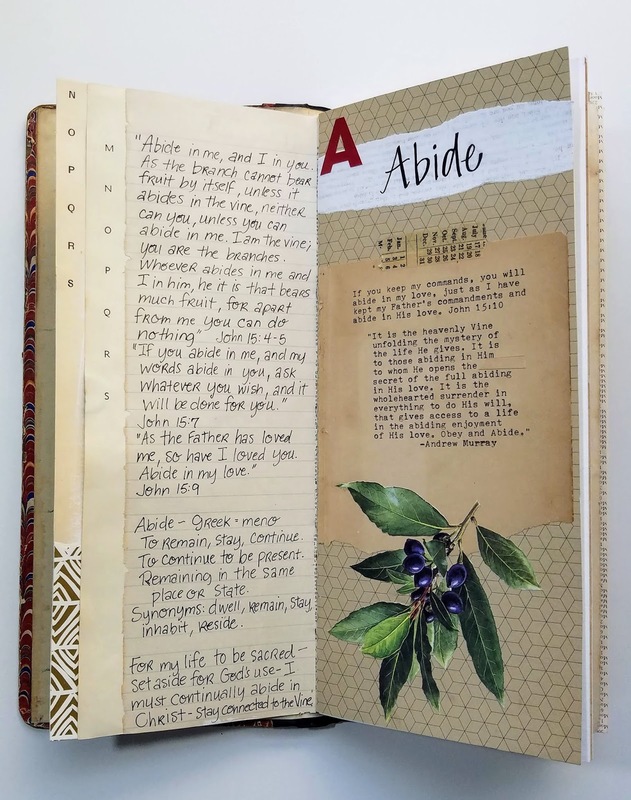 I always enjoy your devotionals and thoughts to encourage our Christian walk. Thank you for sharing them with all of us.